Hua Hin and Cha-Am are both located at the west coast of the Gulf of Siam. They are about 25 kilometers apart. The pulsating Bangkok is about three bus hours away (220 km). 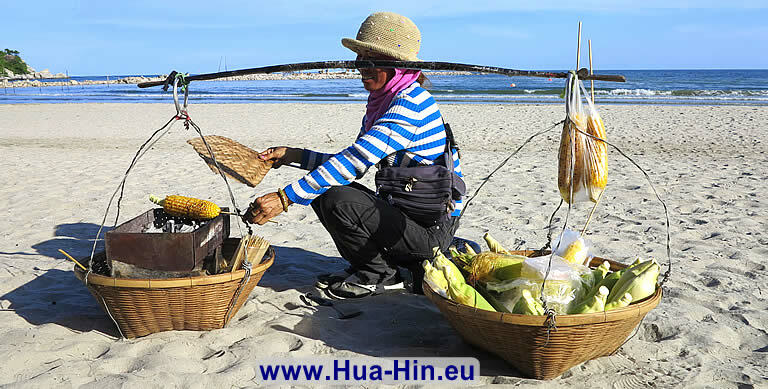 From the small fishing village Hua Hin developed since 1920 more and more to a modern seaside resort. The beginning of this development was the construction of the railway station by King Rama VI (1910 - 1925). Did you know that Hua Hin and Cha-Am are closely linked to the Thai King's House? This goes back to the construction of the summer palace Klai Kangwon (meaning "far from sorrow") in 1926, at the reign of King Rama VII. The royal palace is still used regularly by the royal family. At this time, in the early twenties of the last century, the magnificent colonial railway hotel near the famous Hua Hin rock was built. One year later the first golf course, the Royal Hua Hin Golf Course, was opened in Hua Hin. 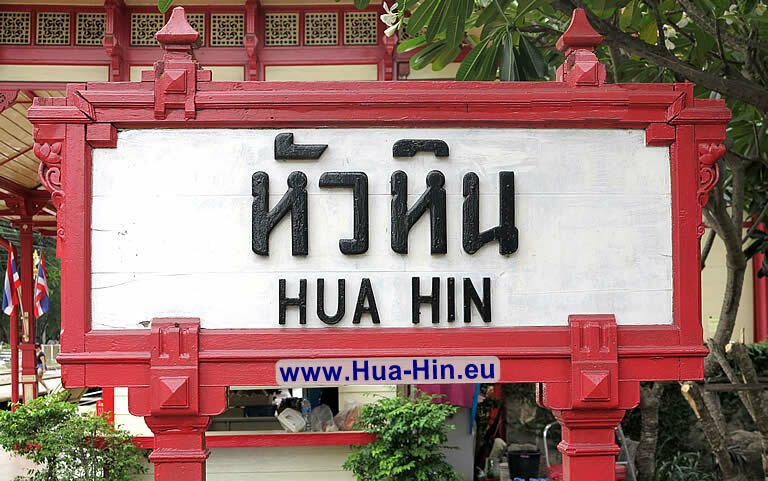 These and other construction measures were the beginning of an ever-growing popularity of the former small fishing village of Hua Hin. There are lots of festivals and festivals all year round, for example the Chinese New Year Festival, Songkran, the Loi Katon Festival, the Gulf Festivals, the Hua Hin Jazz Festival and the world famous Kings Cup Elephant Polo Tournament . One thing to be said beforehand is, that if you expect in Hua Hin a pulsating nightlife with cabarets, discos or similar, you will be disappointed. There are a lot of discos and bars that open until the morning, but they are usually well hidden and there are only a few farrangs to be found. Prostitution in Hua Hin is rather rare. There is an area in Hua Hin, where there are many explicit bars. You can find here more information about the >> Hua Hin Nightlife >>. You will not be bored in Hua Hin. Quiet, narrow alleys and, of course, the beach invite you to take a walk. Take a look at the inviting displays of delicious seafood restaurants, when you are at the beach, you can watch the swinging fishing boats on the Gulf of Siam. Or play relaxed golf at one of the many international golf courses, for a small green fee. You can also go shopping in Hua Hin. In the evening hours you will have enough time on the street markets or on the night market. Hua Hin is well known for its cotton products. They are available in many colors and prints. Very popular is the dried seafood. If you love the Thai and Chinese cuisine, you should not miss these delicacies in the Sea food restaurants of Hua Hin. In Hua Hin are paradiseial hotels as well as superbly situated Hua Hin Beach Resorts with direct access to beach and sea. Or would you prefer to be on your own to enjoy peace and nature in a family environment? That is also no problem! Just rent a holiday home, a villa or a condo according to your wishes. And who knows? Perhaps you lose heart to this unique place and want to stay here forever. Hua Hin properties are numerous and your dream home or an beautiful apartment will be there also for you! Discover Hua Hin in all its diversity on our website. If you have any questions or requests, please let us know. If you are already interested in a holiday home or in property, please contact us via our contact form. We are looking forward to you. See you soon in Hua Hin! Hua Hin - one of Thailand's oldest seaside resorts. Cha-Am, the pearl of the south with white sandy beach. Get more information, travel advices and real estate offers. Phetchaburi is an old city in Thailand with roots of the ancient Khmer empire. We have put together some nice destinations for you. The beautiful lagoon city with dolphins and rare monkeys offers many attractions. We show you the most beautiful properties in Hua Hin, Pranburi and Cha-Am. For rent and to buy - according to your ideas.